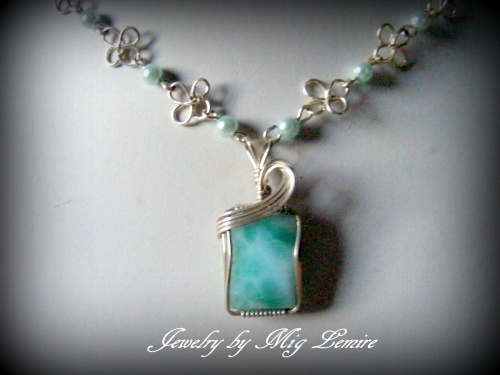 This sweet and delicate necklace has a Larimar gemstone focal and matching glass pearls for the necklace part. Done up in sterling silver with handmade sterling silver 4 leaf clover look alike pieces. Comes with complimentary matching earrings. Measures 17 1/2" long.